Thanks for taking the time to post that lengthy review! 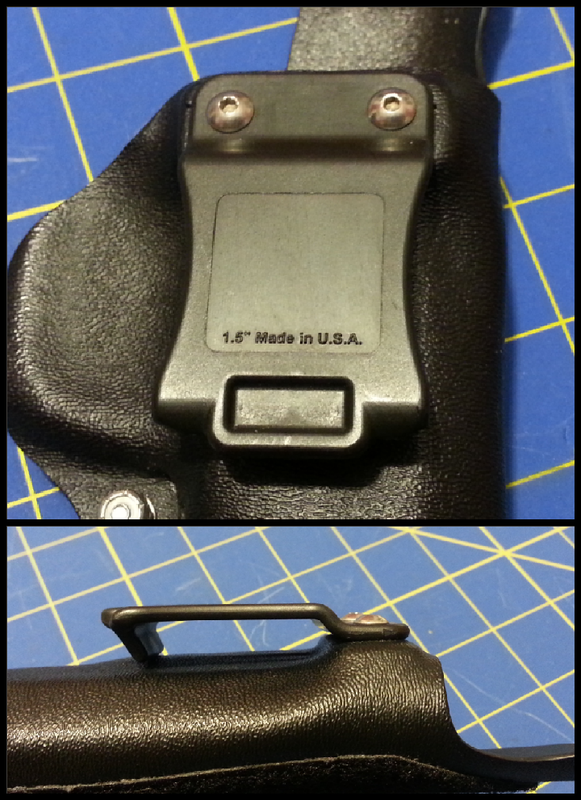 I feel like any questions I previously had about the holster’s design have been answered! Really considering it for my shield. 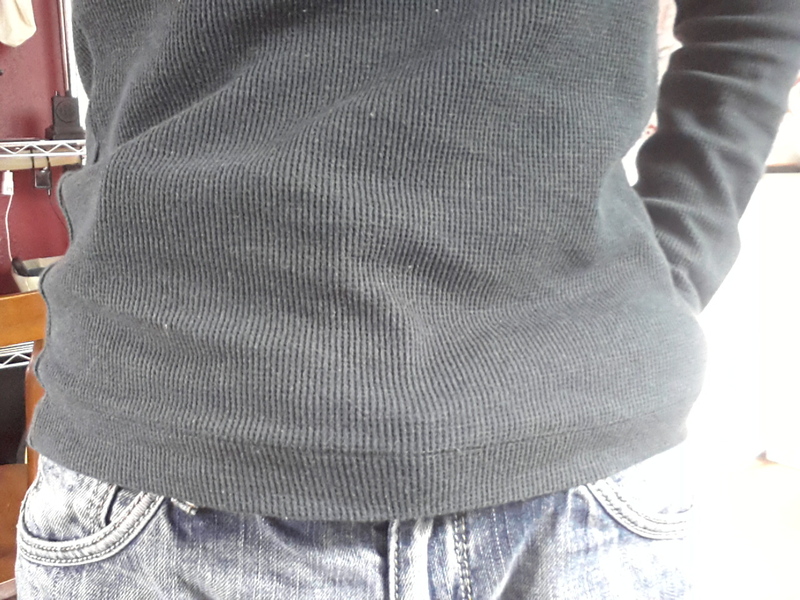 I’m 5’1″ about 115 lbs so I’ve been having trouble concealing the shield in everyday clothing. Excited to see it concealed on a small frame. I’m 5’3″ish and 102 lbs. you don’t get much smaller adults over the age of 21..lol If you choose to try it, let me know! I’d love to hear how it works out. 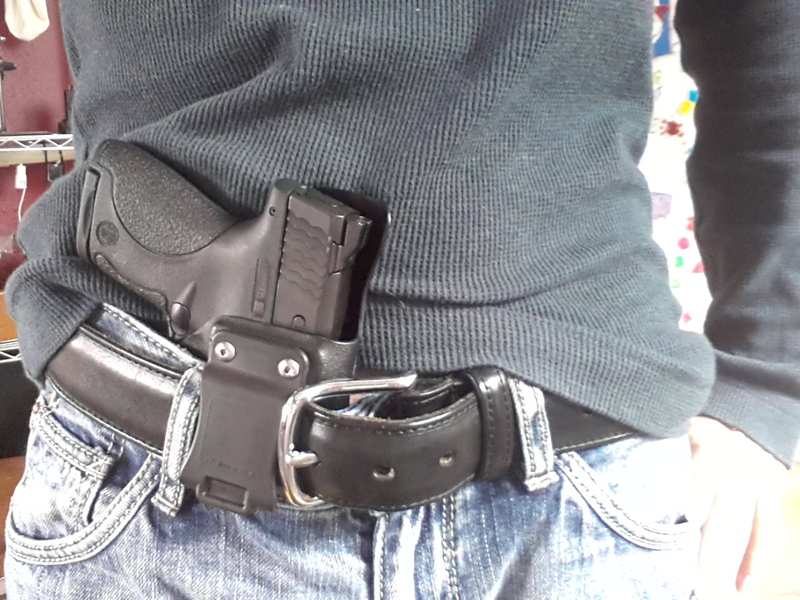 That’s strange that you had a hard time finding an appendix IWB for your Shield that would fit your size. What happened when you tried “The Betty” from Flashbang/Looper? did it stick out or something? 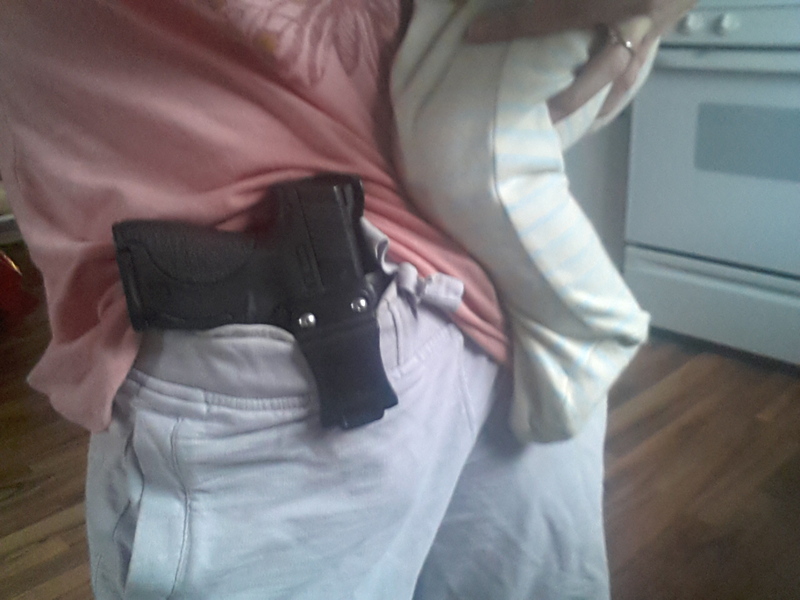 The Betty was for a Glock. 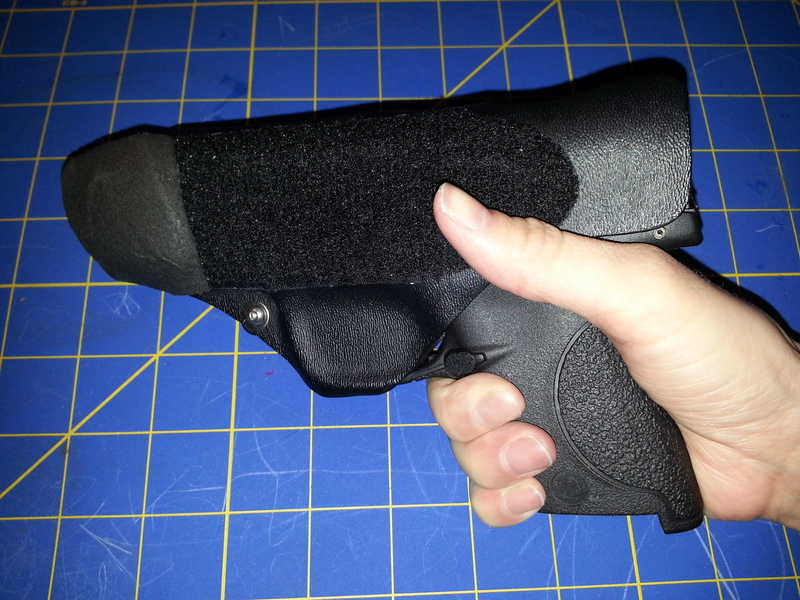 Glocks are just too thick for me to conceal AIWB. I really wish this would have come out just a little sooner. 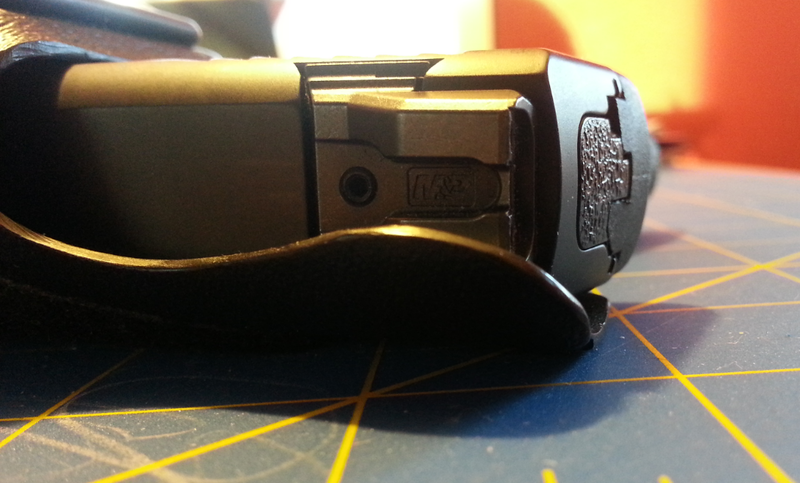 I just bought a Vedder holster for my shield for all the same reasons. While the Vedder is better than my last it is still not perfect. 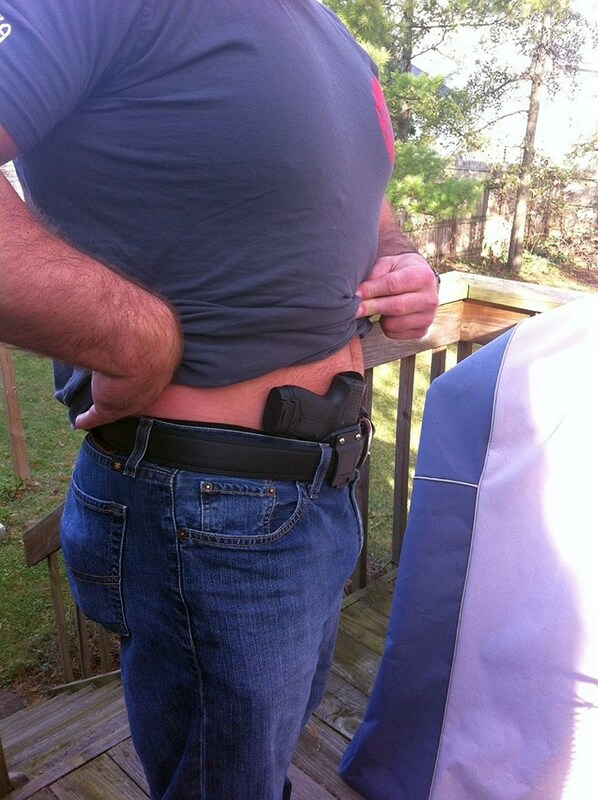 Hubby is beginning to make fun of my drawer of holsters but maybe I can convince him one more purchase is in order. I just wish it was a little less expensive. 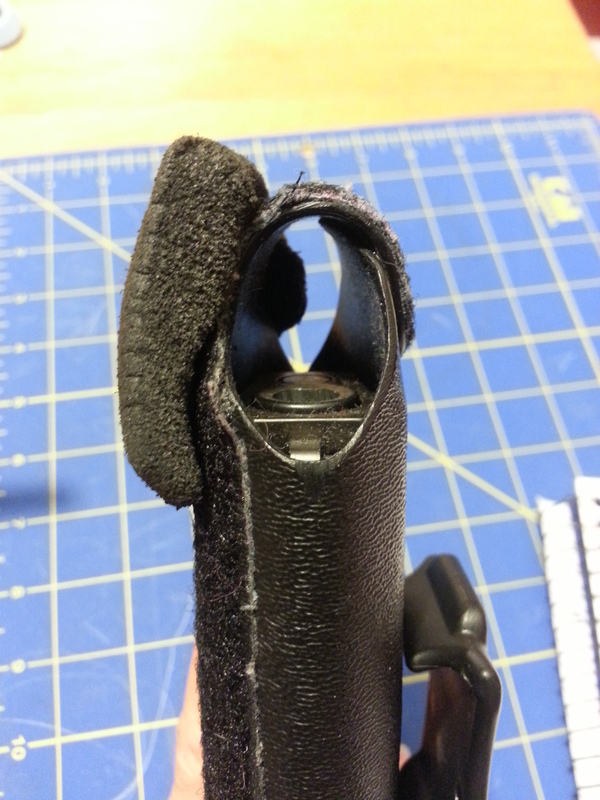 I’m just curious… since the wedges are held on with velcro.. do they stay put over time?… like with repetitive drawstrokes or with putting on and taking off the holster everyday? Yes. They are very secure. Mostly because they don’t move around a lot once they are set.